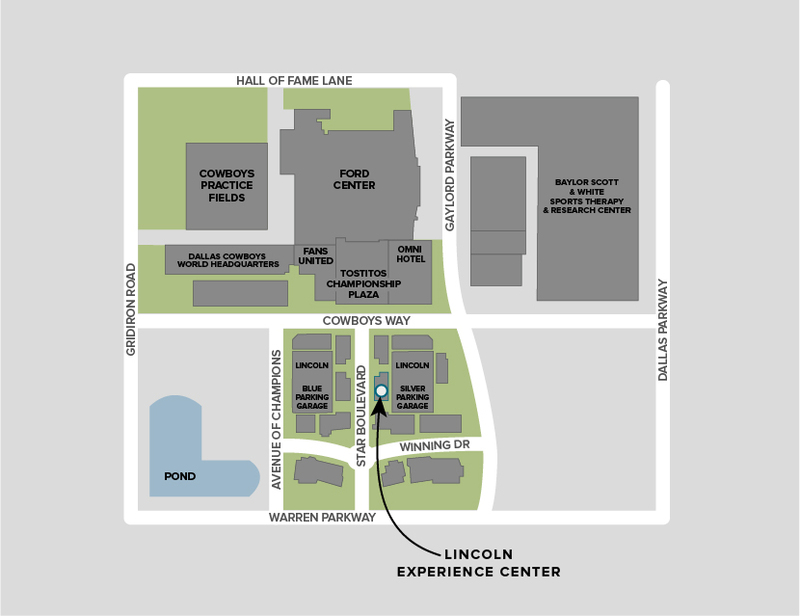 We are delighted that, the second Lincoln Experience Center has opened its doors at The Star in Frisco, Texas! 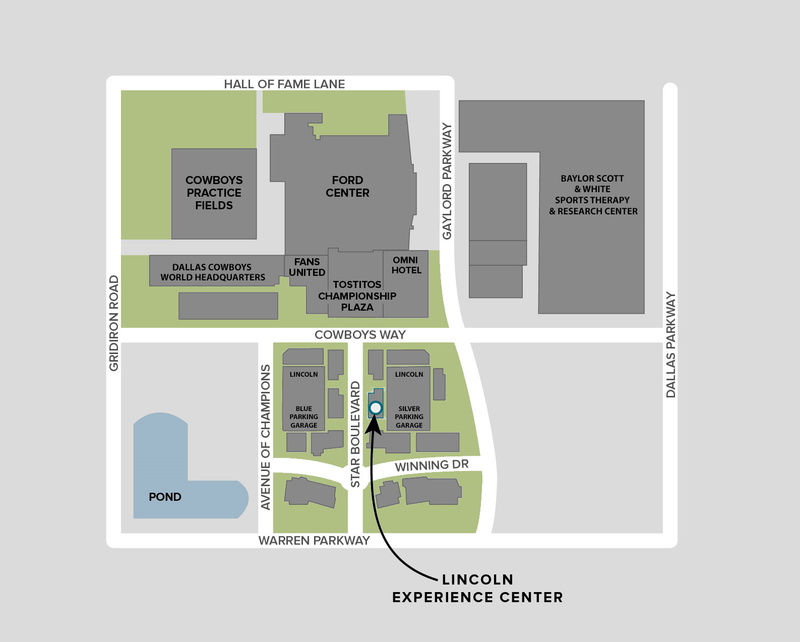 This stunning, 91-acre campus is home to the new world headquarters of the Dallas Cowboys, a multi-use event center, restaurants, retail shops, hotel, corporate offices, entertainment venues and stadium facilities. Fashion Island is located above Pacific Coast Highway (PCH) between MacArthur Blvd. and Jamboree Road in Newport Beach, California, approximately one hour south of Los Angeles International Airport (LAX) and minutes from John Wayne Airport/Orange County. 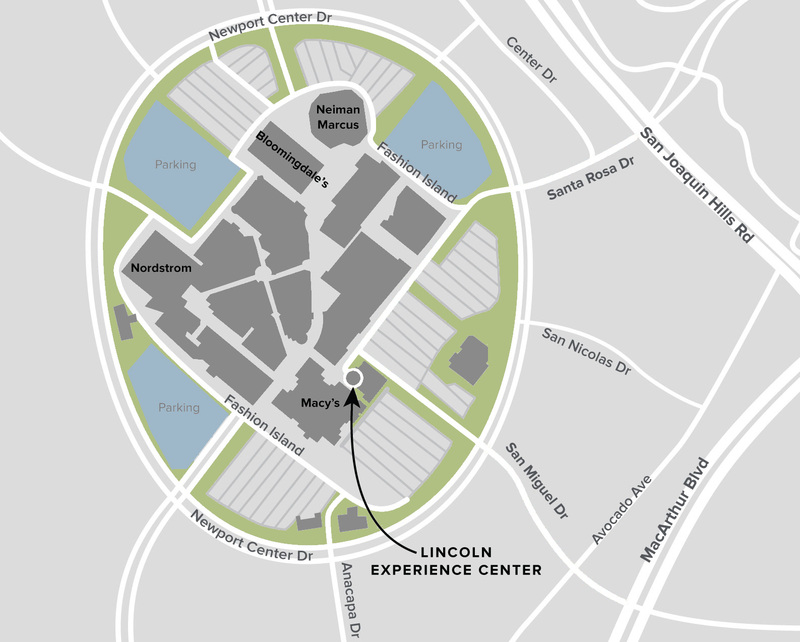 The Lincoln Experience Center is situated directly next to the Starbucks, accessible via San Joaquin Hills Road or MacArthur Blvd. entrances. Fashion Island is located above Pacific Coast Highway (PCH) between MacArthur Blvd. and Jamboree Road in Newport Beach, California, approximately one hour south of Los Angeles International Airport (LAX) and minutes from John Wayne Airport/Orange County. The Lincoln Experience Center is situated directly next to the Starbucks, accessible via San Joaquin Hills Road or MacArthur Blvd. entrances.. Copyright © 2013-2019, The Lincoln Motor Company. All rights reserved. All text, images, graphics, animation, videos, music, sounds, and other materials on this website ("site") are subject to the copyrights and other intellectual property rights of Ford Motor Company, its affiliated companies, and its licensors. Ford Motor Company owns the copyrights in the selection, coordination, and arrangement of the materials on this site. These materials may not be copied for commercial use or distribution, nor may these materials be modified or reposted to other sites. Privacy Statement. Your CA Privacy Rights.